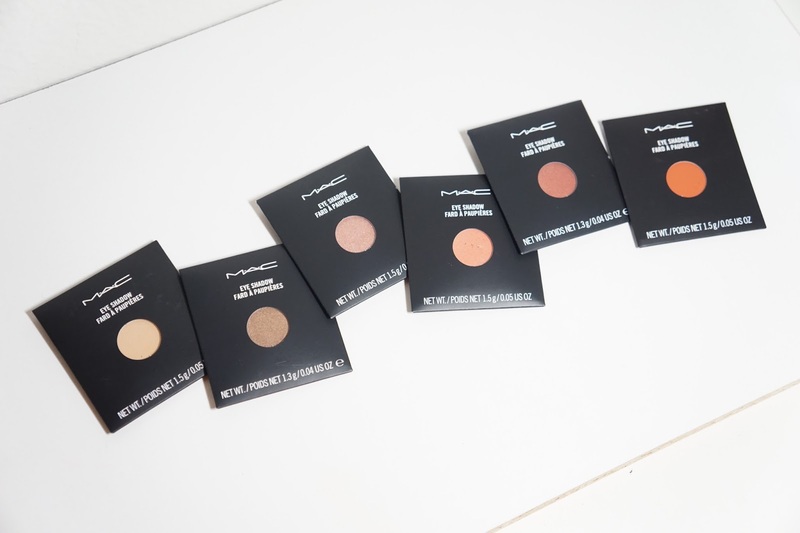 Even though I've had this blog for four years and have been a makeup lover for so long, I haven't really had a lot of experience with MAC Eyeshadows. I thought they were expensive and they didn't really have that great of reviews to justify getting them. I believe a few weeks (or months) ago, MAC dropped the price for their pan eyeshadows to be $6. They also had a 15% off sale and so I decided it was a great time to try to get some eyeshadows! The colors aren't incredibly special or unique, but they're colors I've been wanting for awhile. Of course, they're all on the warm side and I feel like they're very me colors. Right now, my first impressions of these eyeshadows are they they're just okay. They took a couple of layers just to get this opacity. 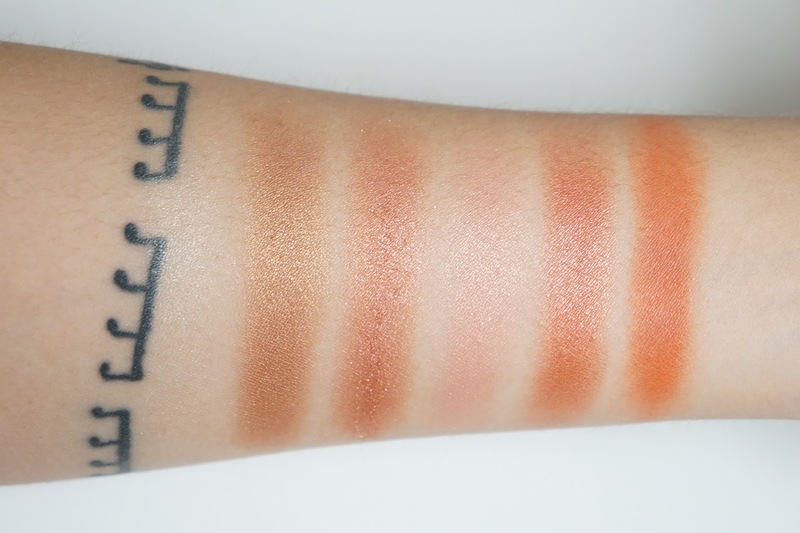 I'm surprisingly impressed with Red Brick though since a lot matte eyeshadows can be patchy. I'm thinking about doing an updated post later on, but I don't get the hype right now. I'm still pretty excited to use them though. Ricepaper and Paradisco also look like they can be great highlighters and that's also part of the reason why I wanted to get them. I wasn't expecting them to be super pigmented based on other online swatches as well but a part of me felt like I needed them because I was already envisioning how gorgeous they would look on the cheeks. For Red Brick, I wanted to get it to compare it to NARS Persia and Blackbird Cosmetics Fire Pledge. Both are great matte red based oranges and so I wanted to find out if all three were comparable dupes. The color I really wanted and felt like I really needed was Woodwinked! I've never nothing but praises over this eyeshadow shade. 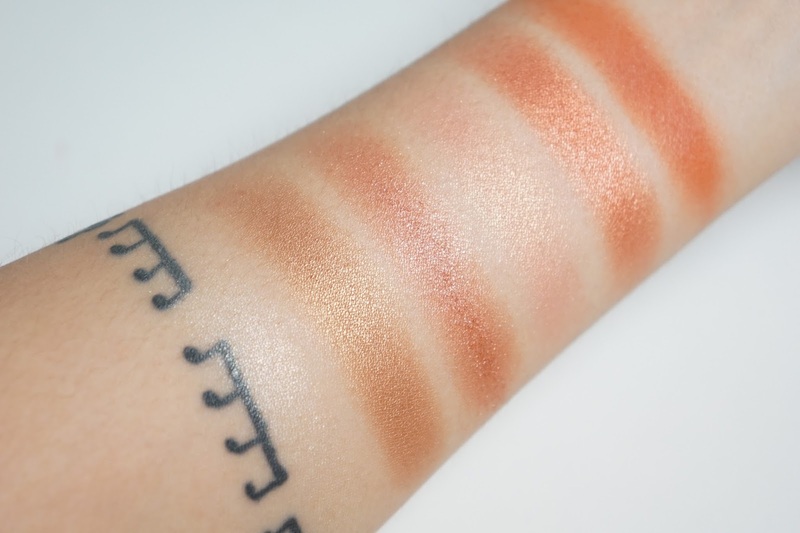 I also some great subtly hazy / smokey eyeshadow looks just with this shade and I've been imaging that nonstop on my eyes. 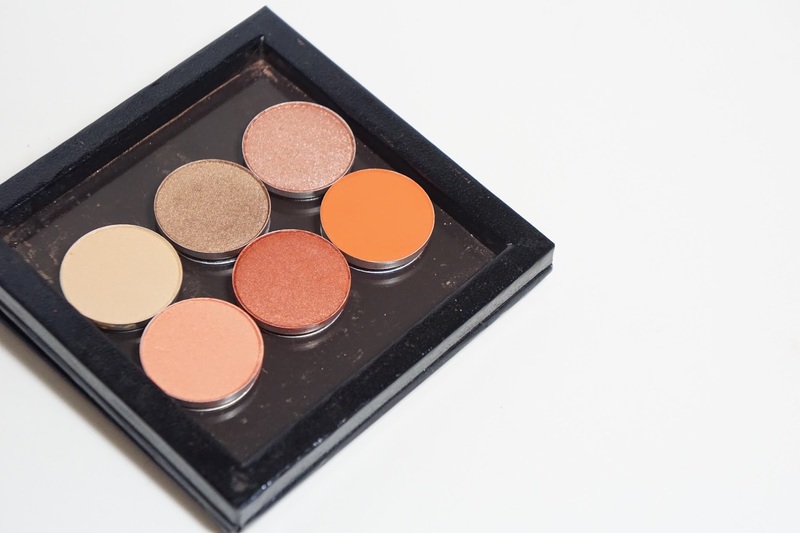 Do you have any MAC Eyeshadows? Which shade is your favorite? Did you pick up anything from their recent sale?